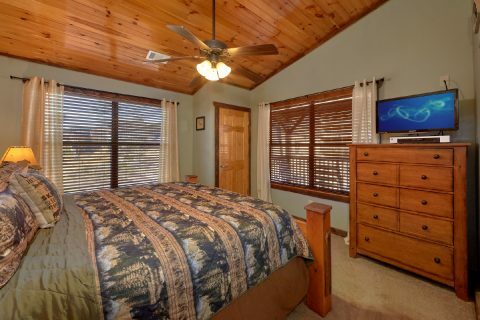 Located in Bear Cove Resort Pigeon Forge, "Sundaze," a fabulous 3-bedroom cabin rental in Pigeon Forge, gives up to 8 guests outdoor swimming pool access and the convenience of being less than a mile off the action packed Pigeon Forge Parkway where family and friends can enjoy dozens of the Smoky Mountain/Pigeon Forge area’s most popular attractions. 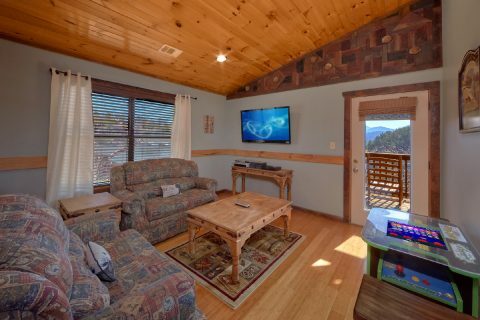 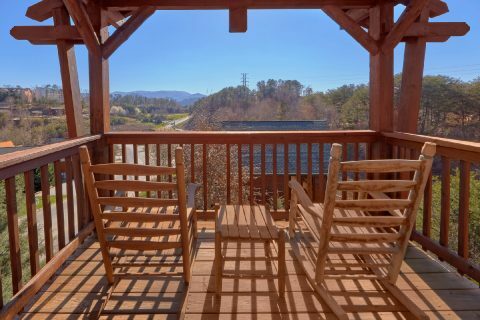 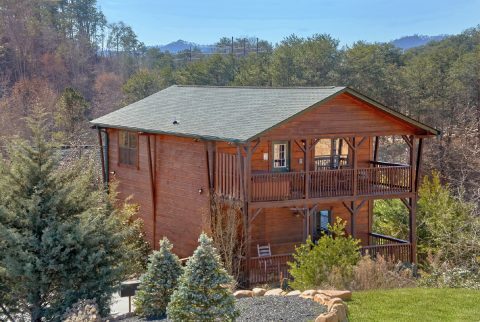 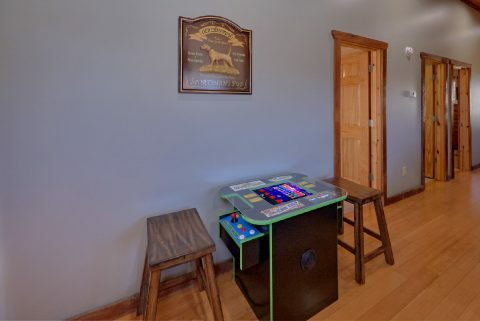 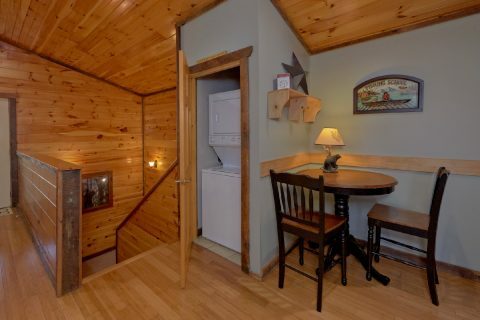 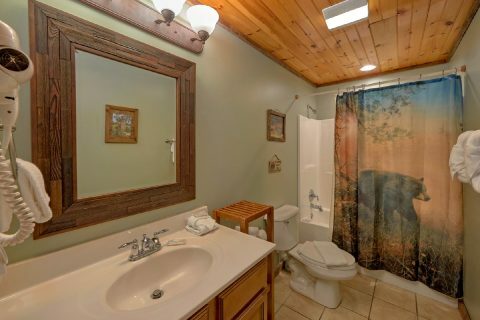 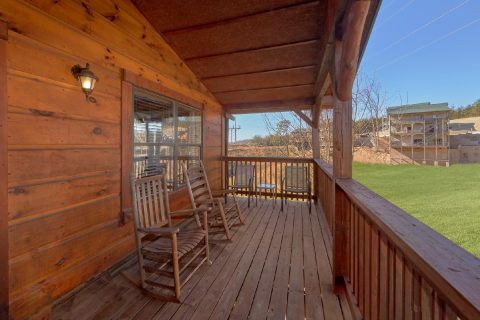 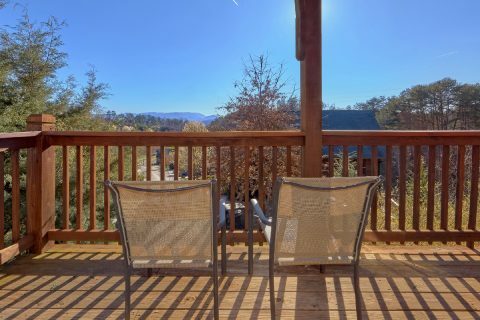 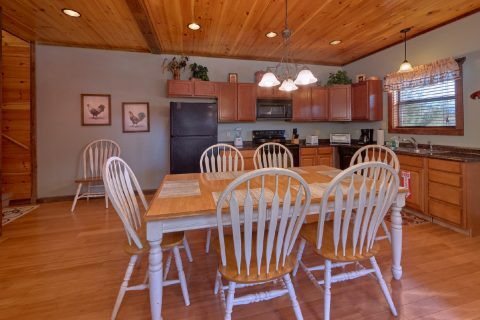 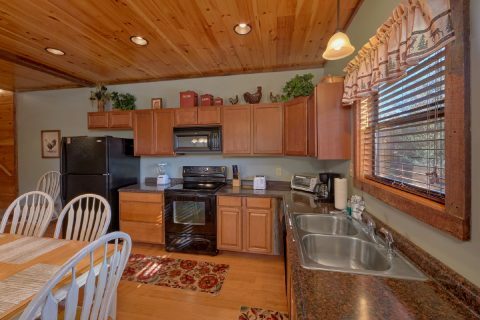 This cabin rental in Pigeon Forge allows the entire family to have a great vacation together in the Smokies. 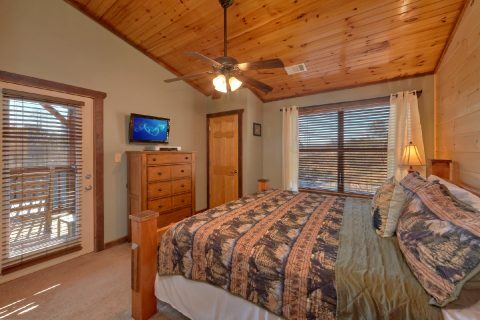 "Sundaze" offers affordable luxury and elegance with every creature comfort you could imagine. 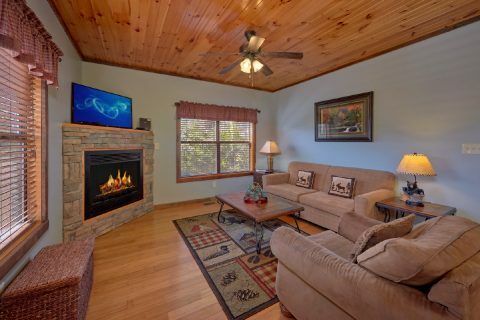 Step into the main floor's cozy living area with warm inviting furniture and décor in the living room and dine-in kitchen. 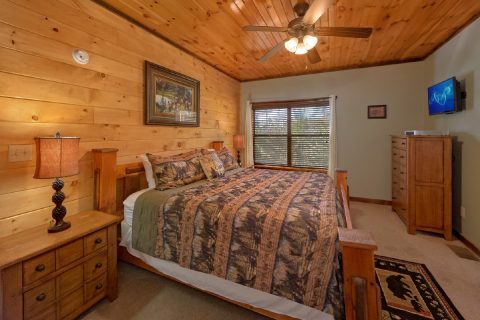 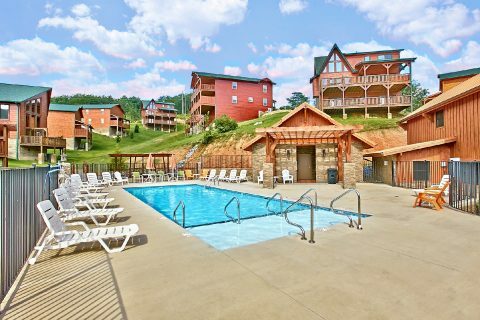 There is plenty of room for everyone to catch some z's after a long day of exploring the Smokies. 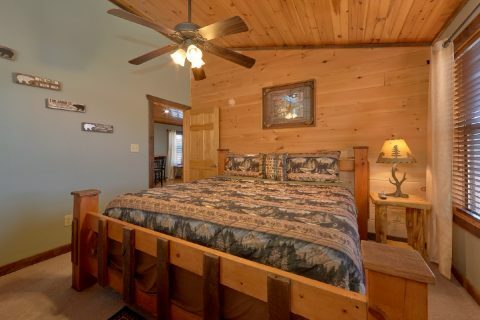 Since this cabin offers 3 king-sized bed and 2 twin sleeper sofas, everyone will have a comfy place to sleep at night. 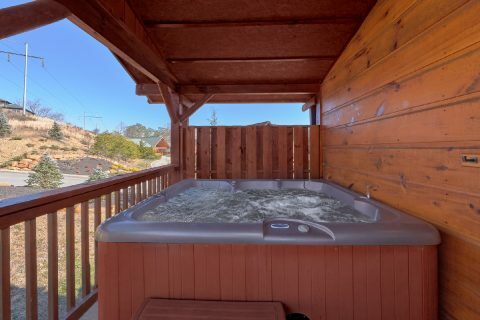 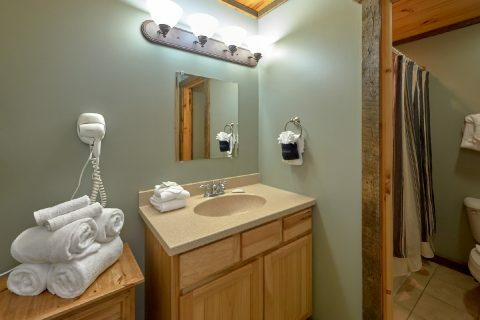 Additional cabin amenities include free WiFi Internet, a year round hot tub, an outdoor barbecue grill. 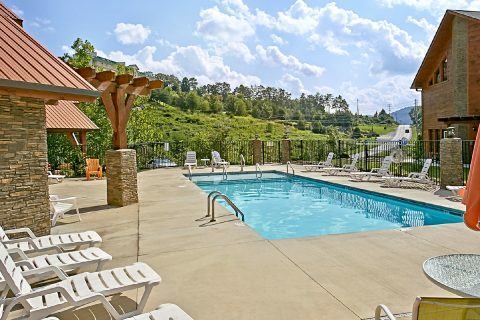 For outdoor fun, enjoy a trip down to Bear Cove Resort Pigeon Forge's outdoor swimming pool to catch a break from the summer heat. 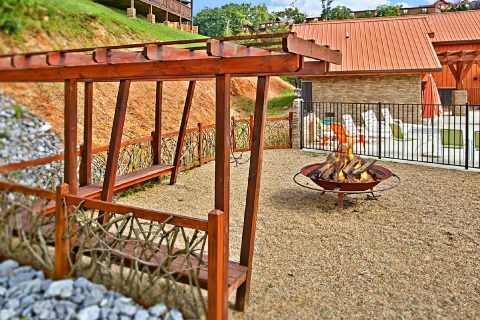 At night, gather everyone around the community fire-pit to tell stories and roast marshmallows. 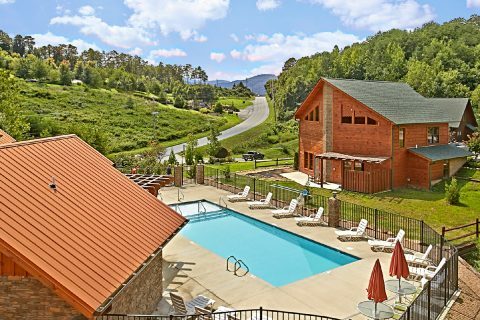 A stay at Bear Cove Resort Pigeon allows you to enjoy the things that truly matter on vacation: family, friends, and fun times. 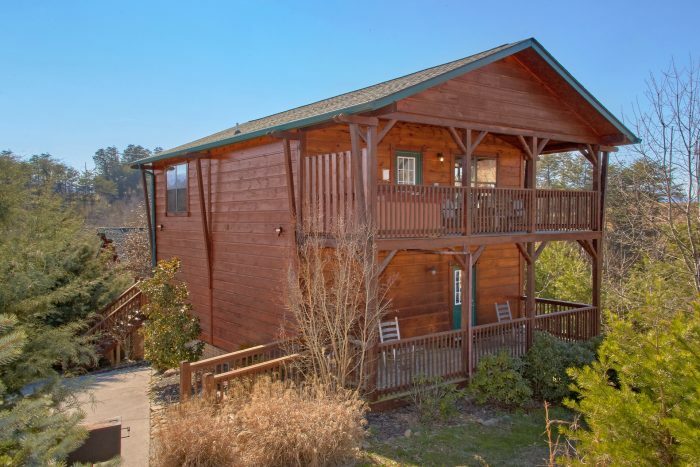 Book your cabin rental in Pigeon Forge online with Cabins USA and receive an immediate Online Cabin Rental Discount!